Heat oven to 350°F. Spray 13x9-inch (3-quart) glass baking dish with cooking spray. In 10-inch nonstick skillet, cook chorizo over medium heat 7 to 9 minutes, stirring occasionally, until cooked through; drain. 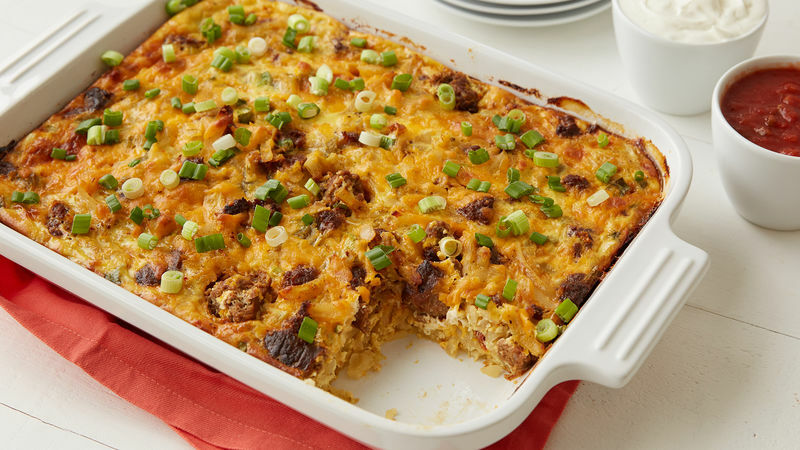 Layer half of the hash browns in baking dish. 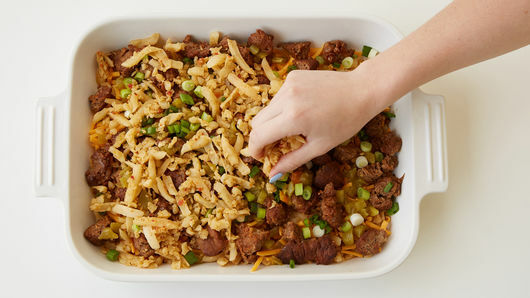 Add 1 1/2 cups of the cheese, the cooked chorizo, green chiles, 1/2 cup of the green onions and remaining hash browns. In large bowl, beat eggs, milk, salt and pepper with whisk until mixed well. 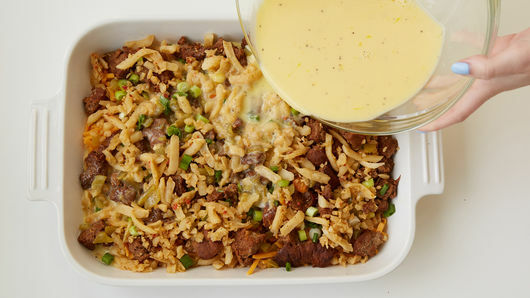 Pour over hash browns; top with remaining 1/2 cup cheese. Bake uncovered 50 to 55 minutes or until golden brown and center is just set. Let stand 15 minutes; top with remaining sliced green onions before serving. Serve with remaining ingredients. Chorizo varies in spice and heat level. Be sure to pick your favorite. 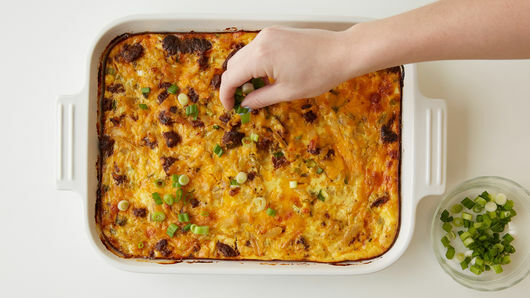 Switching out the Cheddar for pepper Jack cheese will add a little extra heat to your dish.